Atif Aslam's upcoming feature film "BOL" is making buzz on Karachi's Official Facebook page, is set to release at Atrium Cinemas on June 24th, 2011. Directed, produced and written by Shoaib Mansoor who is also behind film "Khuda kay Liye", which was super dooper hit across in Pakistani cinemas is very much optimistic about his new project. The movie "Bol" is featuring for the first time ever the super star Atif Aslam who will play role of a doctor in the movie. "I have done two songs for the soundtrack. It’s been a great experience working with Shoaib Mansoor, he is an amazing person and very dedicated. The film is about Sunnis and Shias. My role isn’t controversial and we discussed it beforehand. It’s a film that is being made for a good cause" said Atif Aslam. The movie is shot in Lahore, Pakistan's second largest city and features students from National College of Arts' (NCA) filmmaking department. The movie was reviewed by the Central Board of Film Censors in Lahore on 8 November 2010, and received its approval the next day. what is the movie duration? and where is the Pakistan Censor board??? 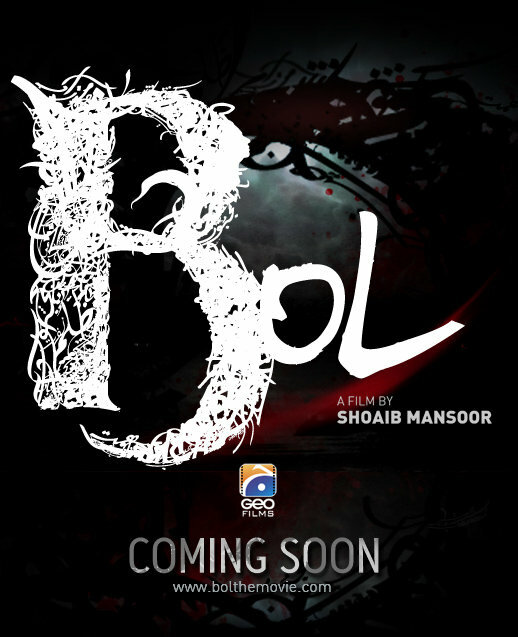 i Think Bol movie should be rated as 18+ movie. this movie was never meant for a retard kid like you, atleast we have a couple of movies which we can be proud of... BOL ROCKS! !